The situation for human rights defenders has improved since the restoration of Parliament in April 2006 and the Peace Agreement signed in November 2006. However, human rights defenders and journalists have continued to face threats, harassment, and the violent dispersement of peaceful protests by police and security forces. Nepal’s decade-long civil war between 1996 and 2006, in which at least 13,000 people died. Government forces engaged in arbitrary arrests, torture, extrajudicial killings, and enforced disappearances to contain an armed conflict led by the United Communist Party (a Maoist coalition). Those crimes are yet to be prosecuted. After the 2006 ceasefire agreement, Nepal’s many disenfranchised and impoverished communities had hoped for a more rights-respecting state. The peace deal contained a promise, enshrined in the ceasefire agreement and the interim constitution, that the new constitution would provide equality and fairness in governance for Nepal’s traditionally marginalized communities. The new constitution has been stalled since then, however, in a bitter stalemate among the main political parties. 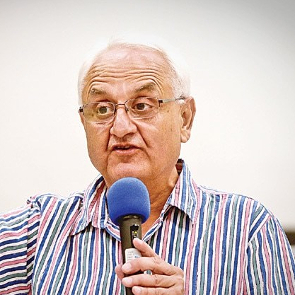 After a coalition government led by Nepali Congress leader Sushil Koirala took power in February 2014, the main parties hammered out a draft constitution without genuine public consultation, which has been criticized widely both by domestic and international human rights groups. Some ethnic groups has responded with violent protest. The devastating earthquake of 25 April 2015 created a massive impact on the countries overall situation including the attention of Human Rights Defenders to more humanitarian work. With the tension rose around the new draft constitution may create difficult landscape for the HRDs.